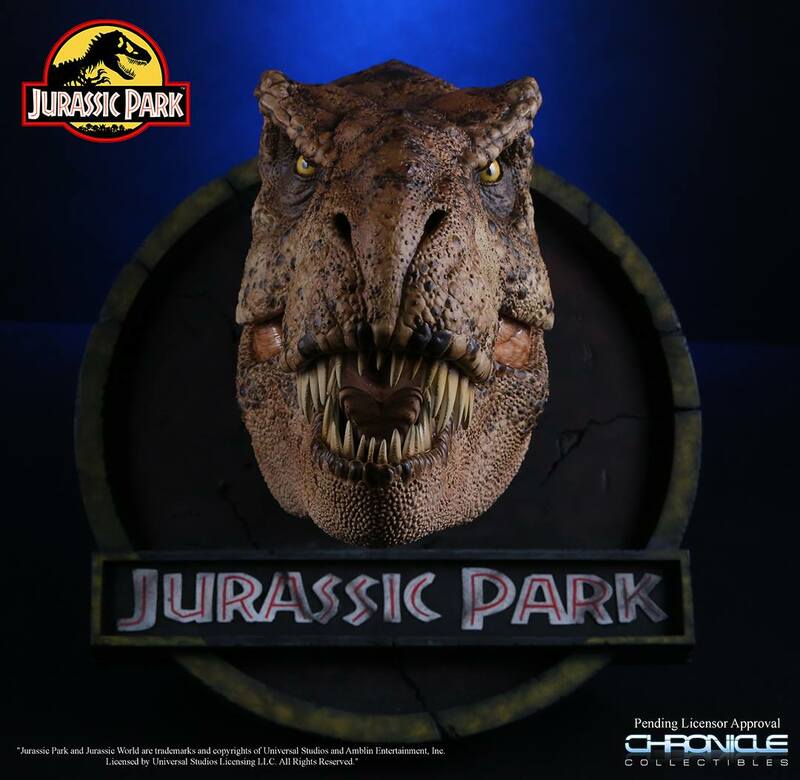 Tomorrow, Chronicle Collectibles will open pre-orders for their upcoming Jurassic Park T-Rex 1/5 Scale Bust. 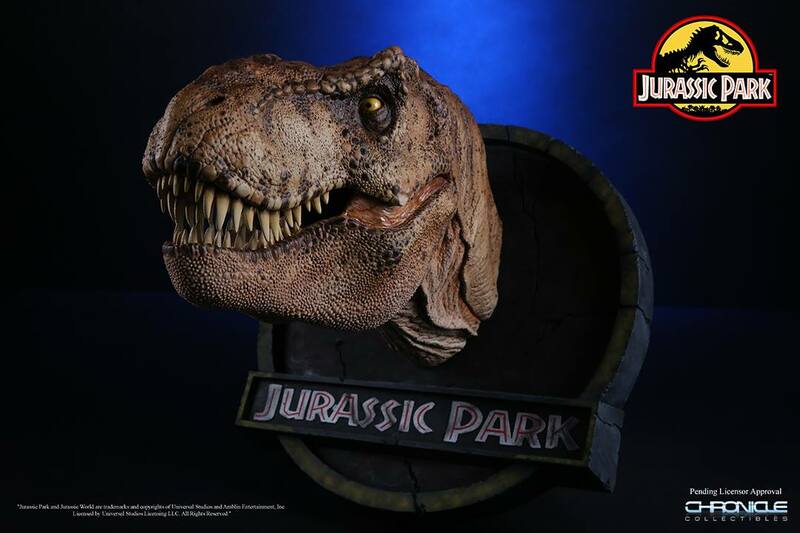 Fans may remember they offered a Lost World T-Rex Bust back in December 2015. 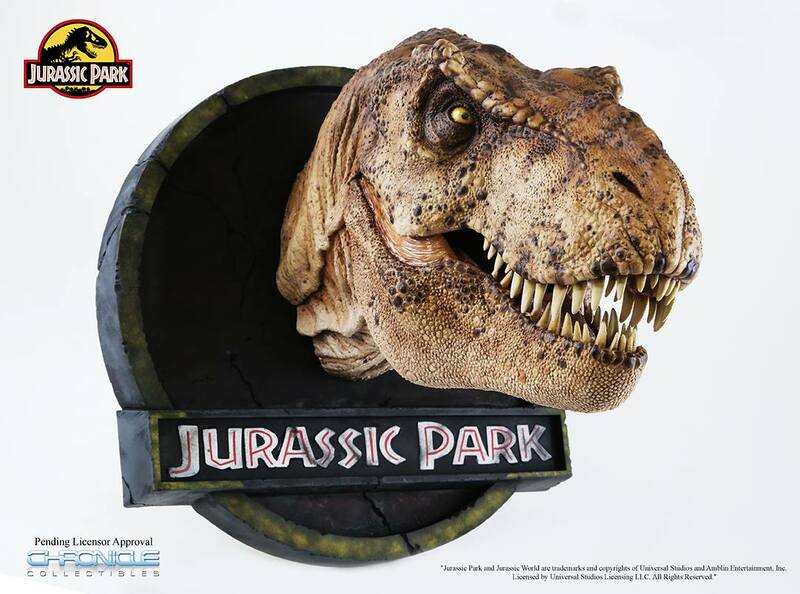 This all-new bust, based on the original T-Rex mold from Jurassic Park, is mounted on a Jurassic Park themed base. Fans who pre-order within the first 30 days will get a special $100 discount. 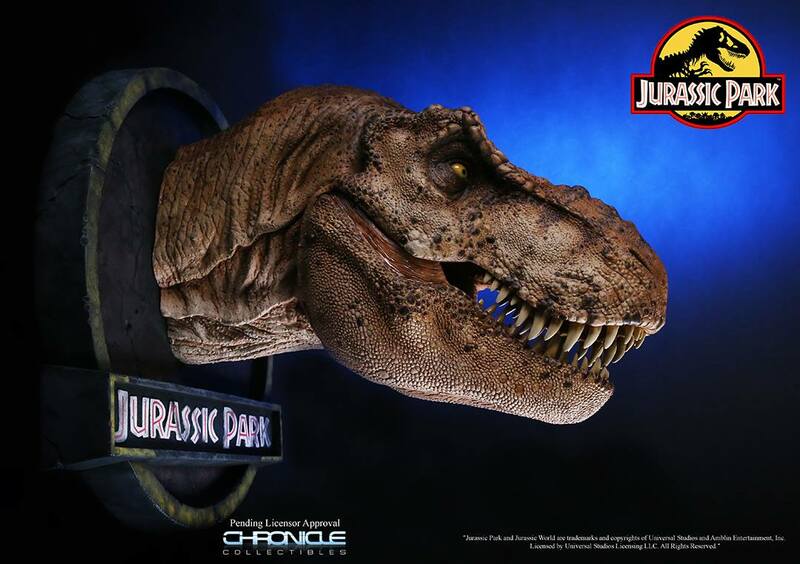 We are proud to offer for the first time the female T-Rex from Jurassic Park. This large 1:5 bust is 19″ long and the base is roughly 16″ in diameter. 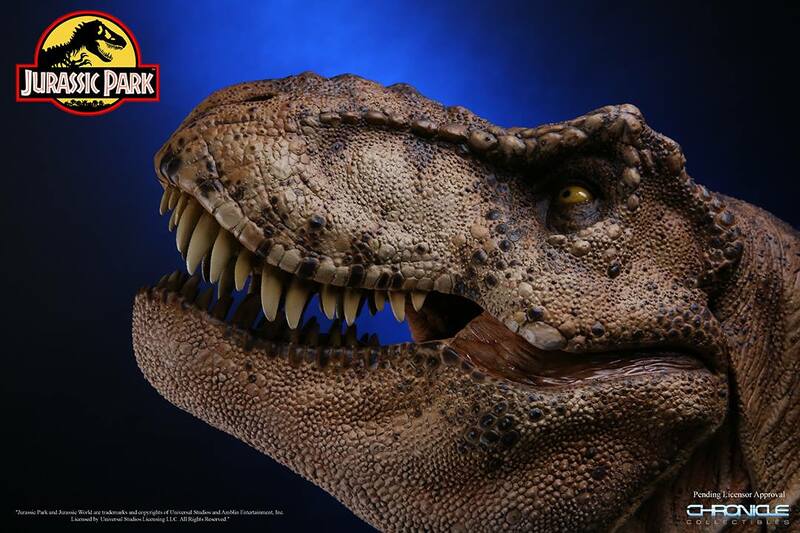 This is the perfect companion piece to our 1:5 Lost World Male T-rex. This is not a modified male bust, this was molded and cast from an original Stan Winston casting provided by Jonathan Chu. Jonathan purchased this original production used bust and he loaned it to Chronicle to mold and restore. The result is this amazing T-Rex female bust. The T-Rex was painted by Steve Riojas, one of the best dinosaur painters in the industry. 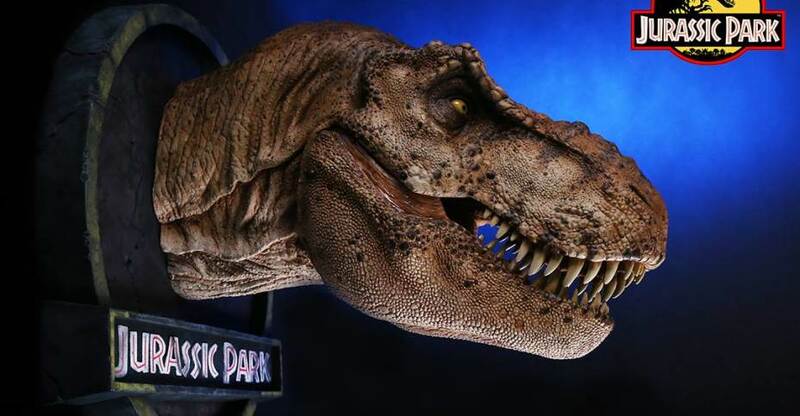 We matched the original skin texture as close as possible to the Stan Winston 1-1 animatronic T-Rex. Pre-Order opens Friday 24th at 12pm CST. You can see all of the photos by reading on. That feels like essential nerd cave decor, for me. It's true! 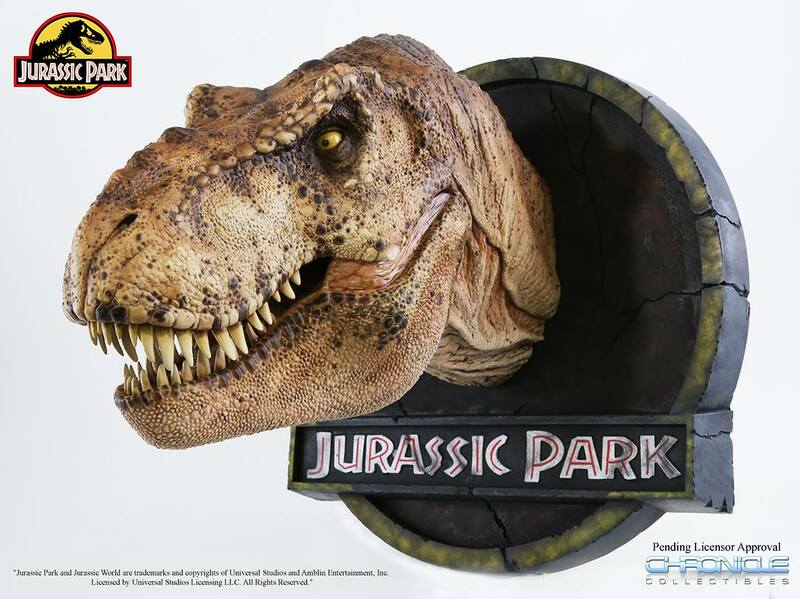 Most fans can only dream of having a T-rex on their nerd cave trophy wall.